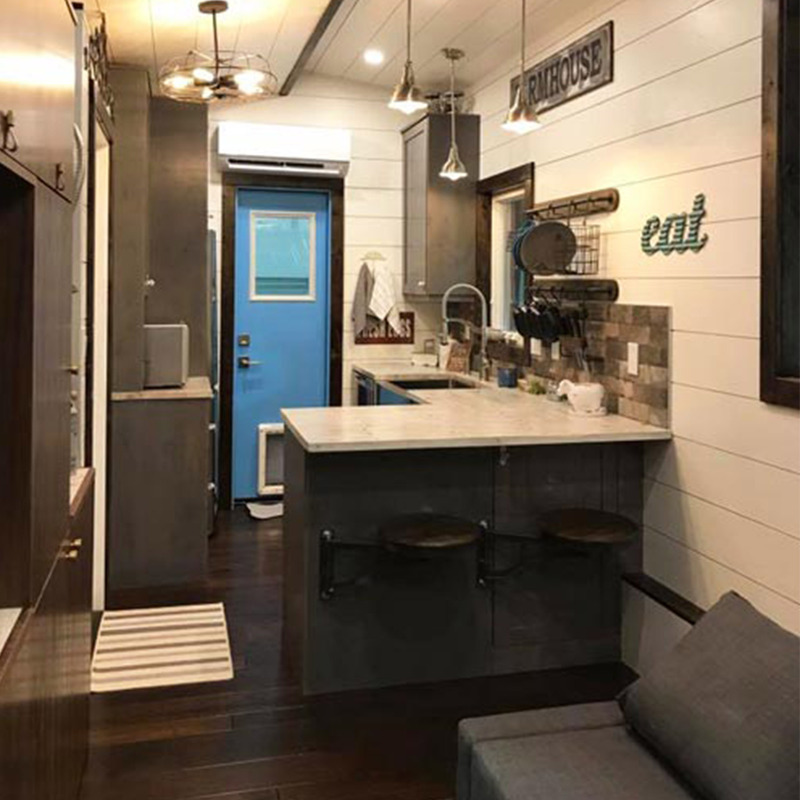 This custom luxury tiny house was featured on the cover of Tiny Living Magazine and won the "Best in Show" award at the 2017 Colorado Tiny House Festival! 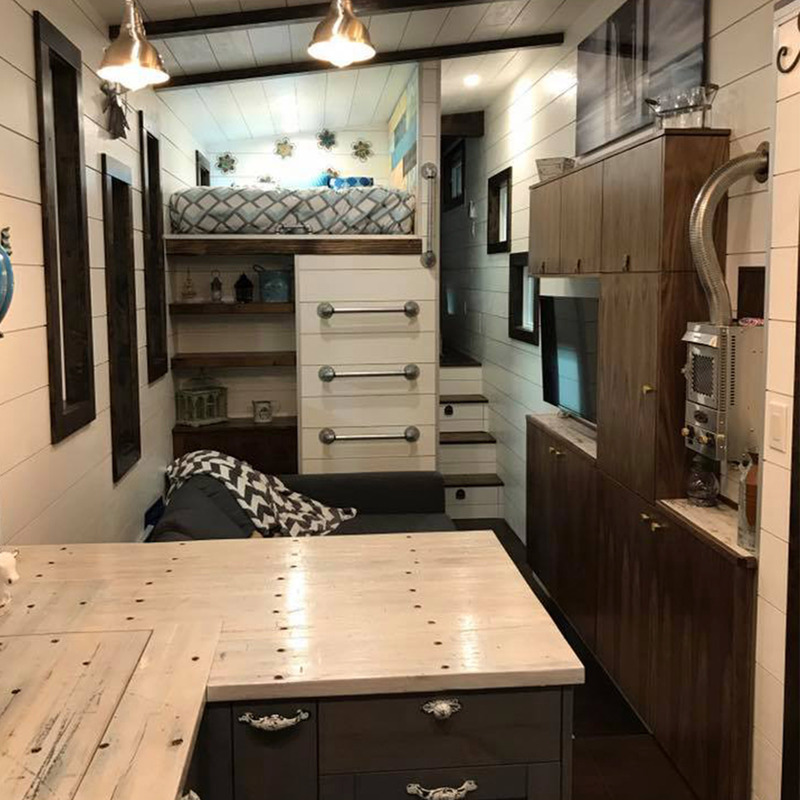 The Empty Nester features 3 sleeping areas: a master bedroom with a closing door, a loft, and a fold-down sofa on the main level. Smart tv on the main level (to use the tv, bring your own Google Chrome Cast, Amazon Fire Stick or Apple TV). The kitchen includes tons of cabinet space, a full fridge, double burner induction cooktop and microwave. Bathroom includes a shower, flushing toilet, and sink.